Vintage House of Harley Davidson Alaska T Shirt Polar Bear L Large RARE HTF! Vintage House of Harley Davidson Alaska T Shirt Polar Bear L Large RARE HTF!. Shipped with USPS First Class Package. Rare design- USA Made. Size large- measurements in the pictures. Fantastic vintage condition! This classic item is used and in great shape. SUPER COOL! 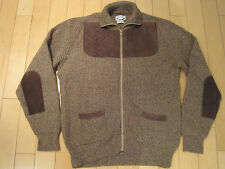 Brenire pure scottish wool zip up cardigan. SUPER RARE! The collar says 16-16.5 neck. Its long sleeved. 29" collar seam to bottom. 21" pit to pit. 27.5" top of collar to bottom of shirt (front). " shoulder to end of sleeve. 18" pit to pit. 0% polyester. 100% cotton. Top mid shoulder to bottom 28 in. Bottom of shirt has loose seam pictured. These are not reproduction or newly made transfers. Good luck! The following are application and care instructions from thirty years ago. All unused iron-ons are being sold as collectibles. This classic item is used and in good shape. Typical wear for its age. AWESOME!! SUPER COOL!! It measures 21.5" armpit to armpit and 26" top to bottom. The tag says large but measurement suggests MEDIUM. The checklist card with the Tick on it is autographed in gold sharpie by the show's creator, Ben Edlund. The shirt is a size large. We always strive for a 5-star buying experience! or concerns before, during, or after the sale. We will respond quickly! 100% Cotton. Don't expected the item to be like new. There are signs of worn. Slightly faded black t shirt. No obvious holes spotted. Stains spotted especially at the back of the t shirt. 50/50, long sleeve body.Has logo printed on the front. Marked a size small. Great shape, just wrinkled from storage. 30" collar seam to bottom. 18" pit to pit. 25" sleeve. Original 1991 Cypress Hill Shirt. No back graphics. 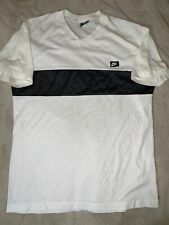 Shirt is in worn condition, holes on front, discoloration on front. Size extra large vintage cypress hill t shirt single stitch Some holes and stains see pictures Thanks for looking!!! Length: 27". It varies from country to country. Very good pre-owned condition, clean-gently worn, no significant flaws, no fading or cracking to graphics. HEATHER RINGER. 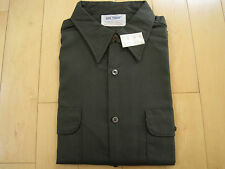 LENGTH (BACK OF COLLAR TO BOTTOM ) : 27. COLOR: GREEN. WIDTH (UNDER ARM TO UNDER ARM) : 21. RARE T SHIRT. CONDITION: UNUSED. From the 1983 San Francisco Run for Youth. Vintage VICTOR "HIS MASTER'S VOICE" Cotton Black T Shirt. 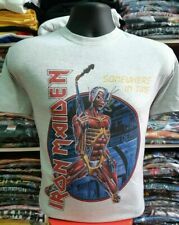 Size L Made In USA. Purchased at an estate sale. Very nice condition. Size Large. Please see all pictures. If purchased or paid for after 11/18, this item will not ship until 11/24. Oneita 1992 mint shape large Moose winter scene t shirt SS. Ask for measurements Pit to pit: 22 inches Back collar to bottom: 29 inches Payment must be made within 2 days of auction closing. PAYPAL only. Any questions please please please feel free to ask away before making any purchases on any of my items. I'll always do my best to help assist any questions or concerns in a timely manner. my #1 priority is always you the buyer so feel free to ask away. Best of luck happy ebaying my friends! Surf Hard! 100% Preshrunk Cotton. Rare 1980s Harley Davidson pocket tee from mobile Alabama Size large! All single stitch on a hanes beefy tee 100% Cotton. Shirt is very faded and there is a small hole near the top left side of the pocket(see photos). Vintage Fox Racing Jersey Shirt. Discolorations throughout which can be seen in photos. Please hire, discolorations have not been treated, might come clean with a little TLC. Please see below for measurements: Size on Tag: N/A Pit to Pit: 22.5” Length (front): 26” Length (back): 27.5” Brand: Fox Please let us know if you have any questions. Make sure to check out our other vintage listings. Thanks for looking! My buddy bought this at the Dio show in late ‘85. Unfortunately it looks like he wore it when he put a new engine in his 69 Camaro as well. please see photos, there are some stains on the lower front. I have not tried cleaning this. It looks grease based. no rips no tears. Great color size is xl fits more like a large. Shipped with USPS First Class Package. Size : Large. Condition : great.